(Riverton, Wyo.) 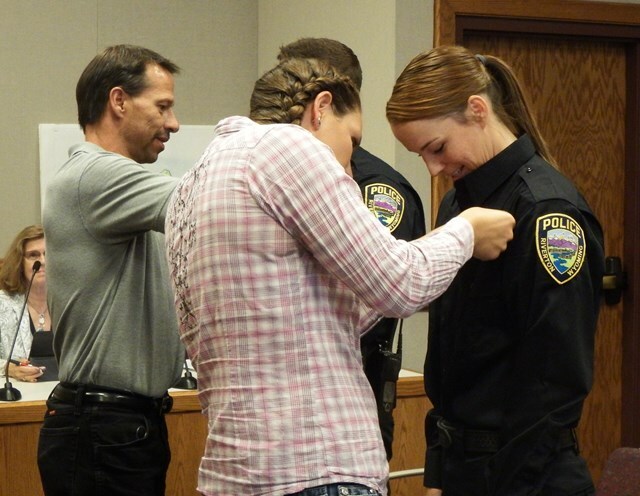 – Several police officers and police department personnel attended last night's Riverton City Council meeting to honor two new members in their ranks. The new officers were sworn in by Mayor Lars Baker after an introduction by Police Chief Mike Broadhead. 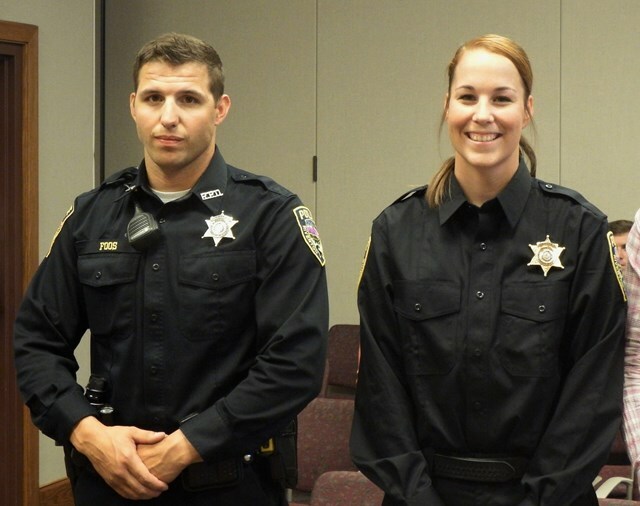 The newly sworn officers are Randy Foos and Bridgette McGinness. Foos is a native of Riverton and graduated from Riverton High School. Most recently he worked as a Wyoming Correctional Officer at the Wyoming Honor Farm. He is currently completing his field training and will go to the Academy in January. 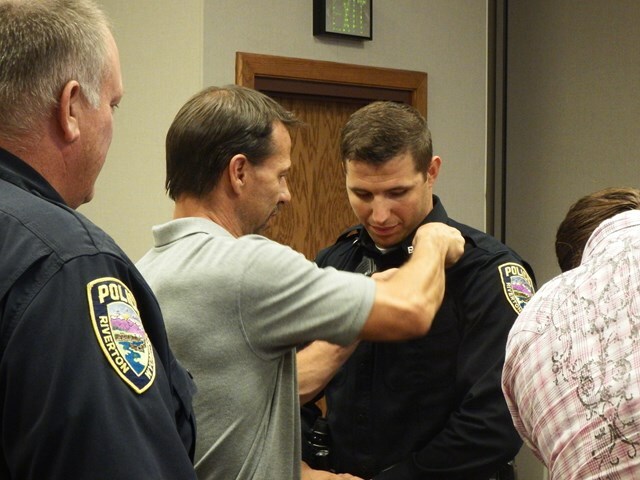 Randy's dad had the honor of pinning on his badge at Tuesday night's City Council meeting. Bridgette McGinness moved to Wyoming from California to work on a farm. She studied and played basketball at Central Wyoming College. McGinness will leave for the Academy later this month. Bridgette's friend and owner of the farm she worked at had the honor of pinning on her badge at last night's City Council meeting.